I built my first PC back in 2011 with an AMD Phenom II, I think a Radeon HD 5950, and the included power supply on my Thermaltake case which was DOA twice before I got it up and running. That was back when I was around 13 or 14, and that thing lasted me through all of high school. I was running games, emulators, VMs, streams, heavy multitasking -- although it had become ridiculously unstable after four years. When I was going off to college, I needed a laptop, and the laptop market was simply bleak -- absolutely nothing had everything I needed, let alone everything I wanted, for under $1200. Adding on to a lot of Mac-only software that I had always wanted to use, I ended up going with a MacBook Pro, and I thought I could get my gaming fix with a PS4. ...we all know how that turns out for everyone. When I went back home for the summer, I tried to turn the PC back on -- not even booting into BIOS. It was time for a new build that could actually handle what I wanted to put it through. The primary goal for this build was to handle gaming and heavy multitasking, including streaming. A common workload that I'll probably give it would be running many Chrome tabs, Spotify, Skype, a AAA game on the highest possible settings, and streaming it all. The secondary goal was to build this for a reasonable amount of money -- and get the most performance possible out of that money. Also, I thought a black/white build with red accents would look fantastic. CPU: Intel i5-6600K 3.5GHz Quad-Core Processor I originally assumed that I would be building around a i7-6700K for the multitasking performance, but thinking back to the problems of my original build, it was frequently memory usage that was throttling performance, as well as the dismal single-core performance and clock speeds on the Phenom II. I decided to go with the 6600K, as I wanted the extra clock speed up from something like an i5-6500, but didn't need the extra threads of the 6700K. Reached a stable overclock of 4.2GHz at a Vcore of 1.255. Microcenter had an excellent Boxing Day deal on this at $189, so I couldn't pass it up. CPU Cooler: Cryorig H7 I didn't plan on overclocking too far (I may eventually try out 4.4, but that's the highest I think I'll need), so I deemed liquid cooling unnecessary from the start. The $5 over something like the Hyper 212 EVO, according to all the reviews, was a lot better of a cooling solution. Whoever designed the mounting hardware on this thing though is a sick, twisted person. This took me like an hour to seat properly, and I was extremely nervous booting up for the temps -- they were fantastic. Max temp in IBT at 4.2 at 1.250V was 63 degrees. Motherboard: Gigabyte GA-Z170X Gaming 3 I picked this mostly for aesthetics -- black PCB with the red DIMMS and PCI-e slots and the white accents on the heatsink and around the PCI-e. Great one-click overclock features. Nice-looking BIOS as well. Microcenter puts $30 off when bundling a CPU and motherboard, and a $20 rebate made this an incredibly cheap Z170 board as well. 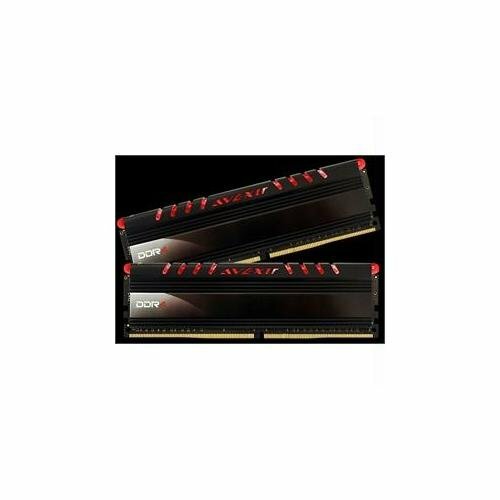 Memory: Avexir Core Series 16GB DDR4-2400 Faster than native RAM with red LEDs for accent. And for a great price on Newegg. How could I go for anything else? Memory bottleneck was my biggest problem last time, so going for 16GB over 8 was a no-brainer. 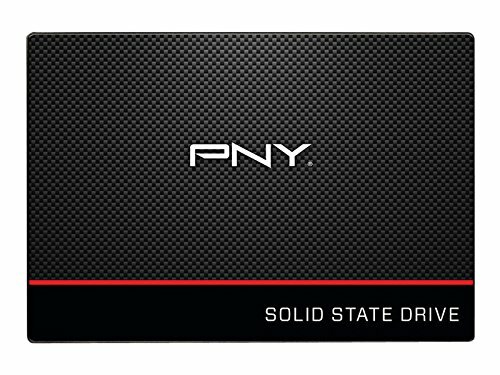 Storage: PNY CS1311 240GB 2.5" SSD This one was actually my Christmas gift -- not sure on the price paid. I find the differences in read/write/boot time with something like an 850 EVO negligible -- I know these go for 30 or so dollars cheaper as well. Configured as a boot drive, and has key programs and games with long load times. Storage: Western Digital Black Series Enterprise Black 2 TB 3.5" 7200 RPM HDD This is the part of the build that I'm the most worried about. 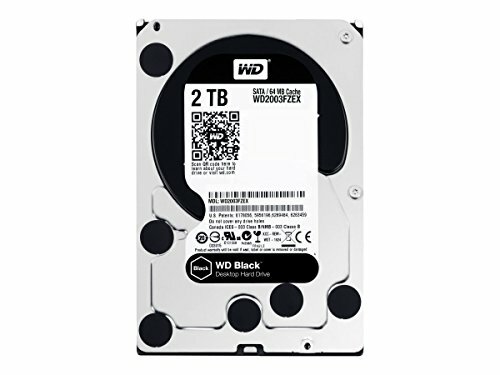 Microcenter advertised refurbished 2TB WD Black drives for $49.99, and I jumped on it when I went in. It came in a bare box, so I didn't know that it was an Enterprise Black until I opened it up. This drive was manufactured in 2010, and was clearly heavily used and wiped. Some reviewers were claiming that it acts more like a 5900 RPM drive. I haven't had problems so far, but this is where I'm going for a first upgrade. 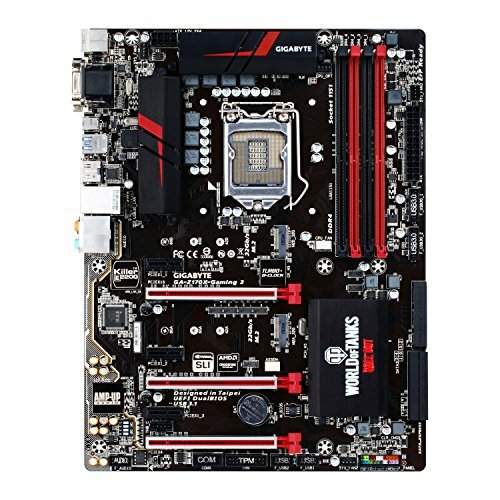 Enterprise Blacks aren’t even listed on PCPartPicker. Video Card: ASUS ROG Strix GTX 1070 The crown jewel. This is more on the gaming side than helping with multitasking, and a bit overkill, but I legitimately got such a good deal on every other part of the build that I had room to upgrade from my plan of an RX 480 to this. Absolutely destroys everything I throw at it in 1080p. Defies expectations. RGB lighting too! -- more red accents! OC’ed to 1738 MHz. Case: NZXT S340 Elite (White) God, it's just so beautiful. It's so beautiful. This case makes the shittiest build inside of it look like a god damned Picasso. Incredibly easy to build in, beautiful tempered glass, and great-looking matte white finish. 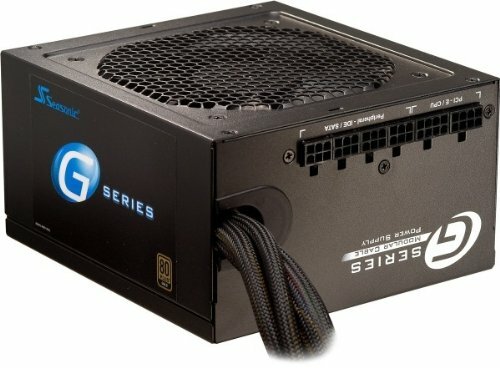 Power Supply: Seasonic G Series 550W 80+ Gold Semi-Modular ATX A 9.6 from JonnyGURU, 80+ Gold, semi-modular, for $54.99 on Newegg down from $90? An absolute no-brainer. The one thing I didn’t want to cheap out on in quality after my last build’s problem was the power supply. Hasn’t burned my house down yet! I've added some Cinebench R15 benchmarks into the pics as well. Better result is overclocked, lower result is stock. Thanks to the whole PCPartPicker community! I was able to do great research on my parts, get helpful feedback from the community, and now I get to help the community in return as well. The mounting hardware is a bit of a pain for installation -- lining up the tiny little nubs of the standoff screws and keeping them in while turning it over to screw in the back proved a challenge. However, once I got the thing mounted, it performed fantastically. Keeps my CPU under 60 at load while overclocked, for $34.99. Fantastic value and performance. Some of the headers are a bit hard to reach (CPU power and the left fan header are nigh impossible to install if the other one's in.) but other than that, great board for the price. Love the light strips around the sides. Easy to navigate BIOS. Faster than native RAM, pretty LED effects. Usually found for a good deal too. Boot times, read/write times are lightning fast. Great performance so far. It holds things. Not in a particularly fast way, but it holds things. Great card. Absolutely destroys everything thrown at it in 1080p, great 1440p performance. AURA LEDs are a great touch, stylish backplate and side ROG logo. And only one 8-pin connector! Absolutely beautiful case, absolute joy to build in. Great locations for cable cutouts, very easy cable management. Tempered glass looks beautiful. Easy panel removal. Fans are pretty quiet, keep things cool. Can't think of how it could be better. Semi-modular, simple design. It powers everything effectively, and has not burned down my house. Silent fan. This is one of the most impressive parts of my build -- these things are SILENT. I sit with them almost next to my ear on my desk -- I can't hear them. I can't hear them while running IntelBurnTest. Red LEDs are excellent. Great fans. This is what I call a "rebatening"! Excellently done on the price hunting and the build itself! 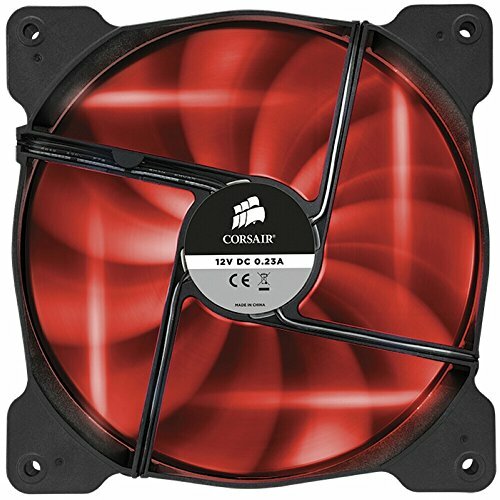 Front fans are facing the wrong way. Should be intaking air from the front of the case.